Every fall Dalhousie University's Faculty of Management offers an innovative graduate class called Management Without Borders (MWB). 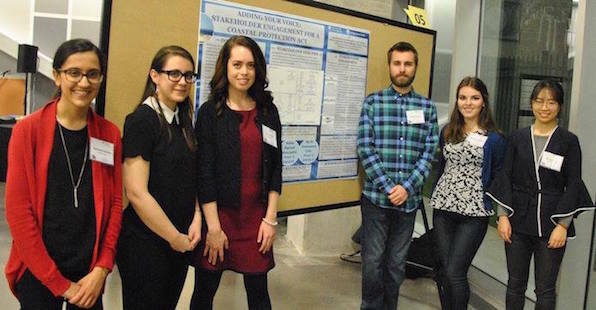 Each year, students are asked to work on group projects with partner organizations across Nova Scotia. This exercise provides students with the chance to apply the theory and skills they learn in class to real-world challenges. For partner organizations, this is an excellent opportunity to have creative, bright and determined graduate students take on a project that would benefit your organization. Jenny Baechler, course coordinator for MWB, is now recruiting organizations (small businesses, public sector organizations or not-for-profits) that would be interested in partnering on these annual student projects. Projects begin on the first day of class (September 4) and must be wrapped up when the term ends on December 7, 2018. Initial project ideas and/or expressions of interest by partner organizations can be submitted to Jenny via email (jenny.baechler@dal.ca) no later than Friday, July 13, 2018. Contact information: Name, email address and phone number for the person who will be responsible for working with our Course Coordinator to develop a full project description (ideally this will also be the person who is working directly with the students). Introduction to your organization: Please tell us a bit about yourself – what is the primary work being undertaken by your organization? Proposed project overview / purpose: Briefly describe the issue or challenge facing your organization and an overview of what the proposed project might accomplish. Why does this project need to be done? What value or impact will the project provide to your organization? A clear statement of purpose should be highlighted (i.e., The purpose of this project is to undertake / conduct / develop…).